July 7, 2016  Trump has run a highly unpredictable GOP campaign, and his vice presidential choice is likely to be the same. Here are some of his top prospects. September 9, 2014  The former Republican senator from Massachusetts will face Democratic incumbent Jeanne Shaheen in November. 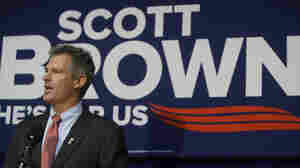 If Brown wins, he would become only the third U.S. senator to represent more than one state. 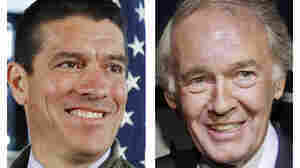 December 20, 2013  The former Massachusetts Republican senator's monthslong flirtation with Granite State voters has powered plenty of speculation, and Thursday's event only fanned it. 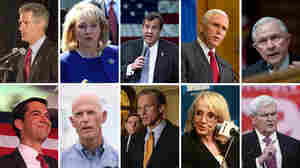 June 12, 2013  The race in Massachusetts to fill the seat once held by John Kerry may be giving Democrats anxious flashbacks to 2010, when a Republican won Ted Kennedy's longtime seat. Controversies that have tarnished the Obama administration could give Republicans an edge. October 7, 2012  Despite the state's liberal reputation, voters there have never elected a woman to the U.S. Senate or the governor's office. 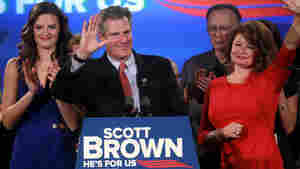 Next month, control of the Senate may hinge on whether Massachusetts will vote for a woman, as Democrat Elizabeth Warren challenges incumbent Sen. Scott Brown. September 26, 2012  The principal chief of the Cherokee Nation is calling on Massachusetts senator to apologize for a video that allegedly shows members of his staff imitating "stereotypical 'war whoops chants.'" Brown has said he doesn't condone the actions. 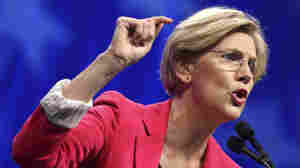 June 2, 2012  Warren secured more than 95 percent of the delegate vote at the state's Democratic Convention, clearing the way for her to focus solely on incumbent Sen. Scott Brown. January 21, 2010  In the first hour, campaign finance reform and the future of the Democrats' health care overhaul. In the second hour, the roots of extremism and new technology for philanthropy.